I was sitting in traffic yesterday wondering why we weren't moving when I noticed a line of fire trucks facing me. Several people had parked on the side of the road and were out of their cars staring down into traffic. I thought there had been some horrible traffic accident that had so traumatized everyone that even the firefighters felt like it was hopeless. It wasn't until I pulled onto that same road that I realized why everyone was on the overpass. They weren't staring at some horrible accident....They were paying their respects. The funeral procession for Vicky Armel was passing on the opposite side of the road, heading past the Police Station where she was slain. I was awed by the number of police cruisers and firetrucks. I pulled to the side of the road. 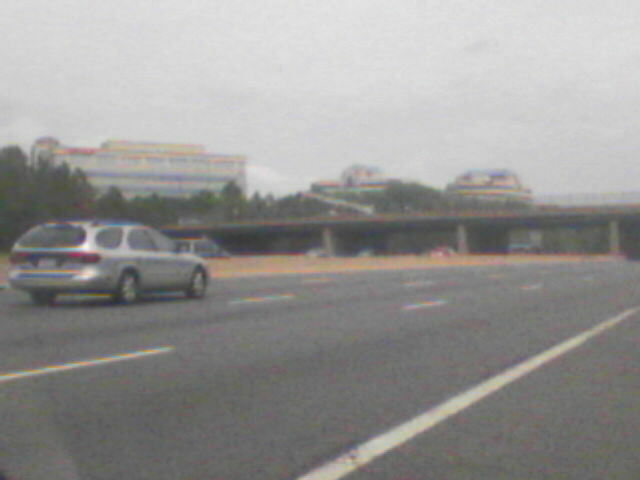 Straight ahead of me on the overpass was a fire truck with its ladder extended, an American flag hanging from it. Across the interstate I saw a woman standing with her hand over her heart. I knew I had to call my Dad and tell him what I was seeing. I knew he would understand. I had to stop several times while I was talking to him because I was choking up from the emotion of it all. Complete strangers were thanking this officer for making the ultimate sacrifice. She was touching us all. My Dad listened quietly while I described the scene to him. I knew he would understand. He had been part of that procession many times for fellow officers. I never met Detective Armel, as I am sure most of those standing beside the road had not. But seeing her procession reminded me of how I used to think of my father when I was younger. My father was a police officer. A damn fine officer. He was Superman to me. He was/is still the man I measure myself by. Sitting on the side of the road talking to my Dad I felt a little less lost. For a few minutes my Dad was Superman again.